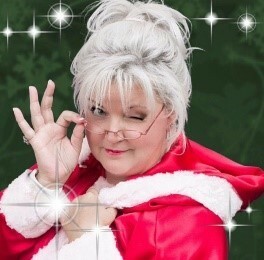 Sherri's role as a Director and Founder of the Santa Family Reunion will be in planning and producing a fun Santa family oriented convention that provides continuing education, events to attend and make memories with friends, as well as a good variety of vendors to shop from to enhance your professionalism as a Santa, Mrs. Claus or Elf. Debra Ann lives in beautiful State of Minnesota with her husband Randy of 42 years and her treasured family of 3 children and 1 granddaughter. She has an active role supporting their family owned construction company as well as their signature product line of "SantaSCents". 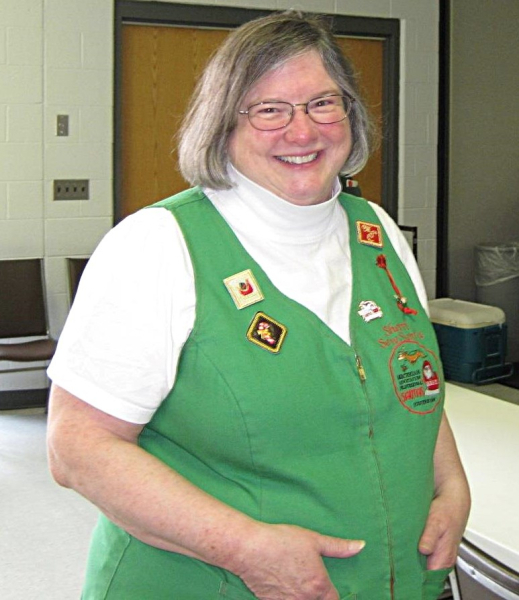 Debra has a strong Christian faith and is very involved in her church as well the Minnesota North Star Santas group where she spends time volunteering. 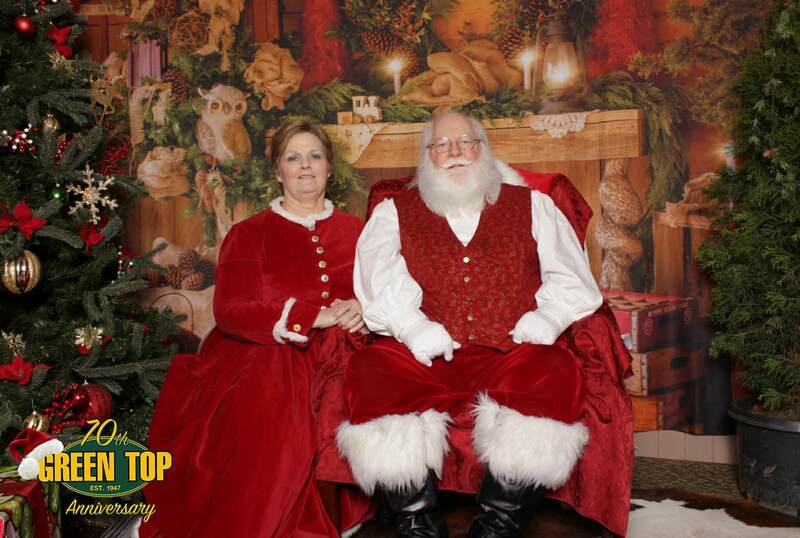 Debra Ann especially loves to share her time and talent of organizational skills at Santa Conventions. She learned to be a 'Gift Giver' early on in life from her mother who loved everything about Christmas and made it so special for her family every year. This will be her 5th convention she has been involved in planning. "The friends gained and experiences are so amazing and rewarding. It has brought so much happiness and love into my life. I am grateful to God for leading me on this wonderful journey" Debra looks forward to being a part of the Santa Family Reunion 2019 and helping to make it a successful and memorable convention for all. Debra Ann's role as Co-Director for the Santa Family Reunion will involve many different facets! She has already been very busy behind the scenes working her magic. You will continue to hear from her in the upcoming months of planning with newsletter updates. She will be greeting you at registration. Debra Ann will once again be invlvolved in the line up for the Talent Show of the Santa Community. She is available and willing to help you in any way she can. If you have a question or need anything, please let her know. We currently live in Murrells Inlet, SC near our youngest daughter, Courtney and son in law Sean and our two youngest grandkids Madison (6) and Cooper (3). Sean is a local business owner and Courtney is a nurse. Our oldest daughter, Christie and son in law John live in Charlotte, NC where Christe works for MetLife and John is a manager for an automotive shop. Our oldest grandkids are Jacob, a USMarine (24) and Amber, US Navy (21) . I have worked in my local school system, volunteered at school and church and assisted with several major “Santa” conventions as a volunteer and board member. I enjoy helping others in making the right choices for them in their portrayal of Mrs. Claus. I really enjoy seeing the light in the eyes of a child (no matter the age) and the delight in the faces of the parents when they “meet” Santa. My hobbies include traveling, grandkids, quilting and anything Christmas! Trish's role as Co-Director will be using her expert organizational skills planning areas of the Santa Family Reunion. Trish will also be greeting you at the Convention Center for Registration Packet Pickup and Photo ID. 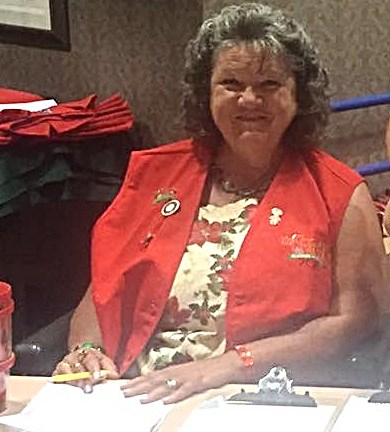 Trish will also be in charge of assigning volunteers spots to fill during the SFR Convention. You can always be confident Trish will get the job done and are very grateful to have her more involved this year as a Co-Director. twenty-three, he became the year-round Santa Claus for the iconic Santa’s Village theme park in Dundee, Illinois. It is an association he has now had for over 30 years. 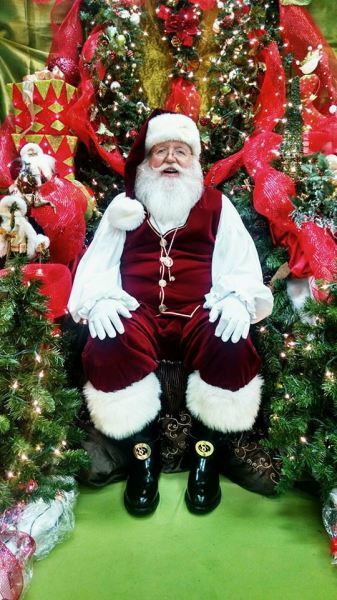 He is the longest tenured Santa in the park’s 55-year history and is one of the very few true full-time year around professional Santa Clauses in history. He appears in costume at the park and at special events over 200-plus days a year. His resume also includes work in Santa Claus, Indiana at the historic Candy Castle, consulting on Christmas programs, and being a published author. He is considered a leading authority and historian on the Santa Claus legend, history, and folklore. Wenz is, bar none, one of the most experienced Santas ever and is the creator of the Santa Claus Oath, which is widely accepted by nearly every Santa portrayer across the globe. 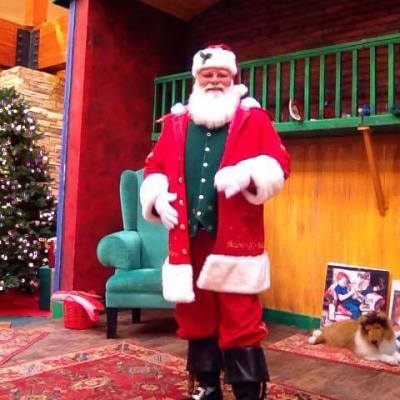 Phil's role at the Santa Family Reunion will be in the 10th Anniversary Program of the Santa Claus Oath signing which took place at the Gatlinburg Convention Center in 2009, historical videos, as well as commentator of the Santa Family Reunion Parade and various interviews throughout the convention. We are very pleased and honored to have him aboard the Team Member Committee for this speciial historical year in Gatlinburg, TN! 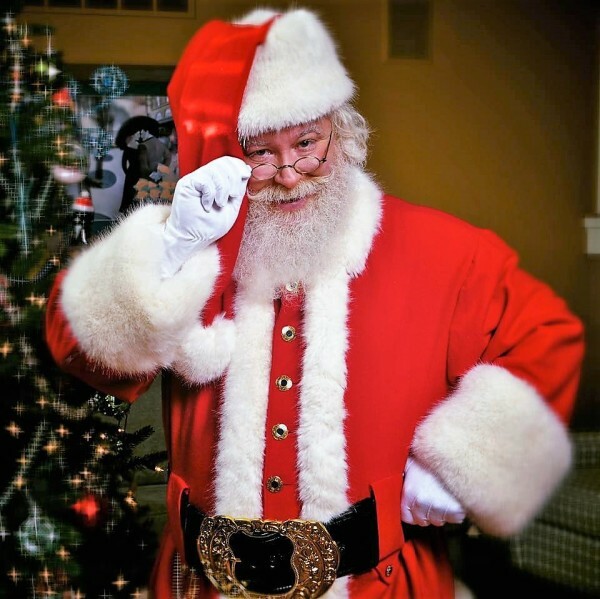 As a Santa for over eighteen years, Lou has made a wide variety of Santa appearances during the Christmas Season and other occasions. He also donates his time to groups working with cancer kids, such as the Rally Foundation, C.U.R.E and Children’s Health Care of Atlanta. Santa regularly visits the intercity senior community at Emmaus House and “Reach Out” for mentally challenged and disabled adults. Santa Lou is a Founder of the Legendary Santa University, where he currently instructs. 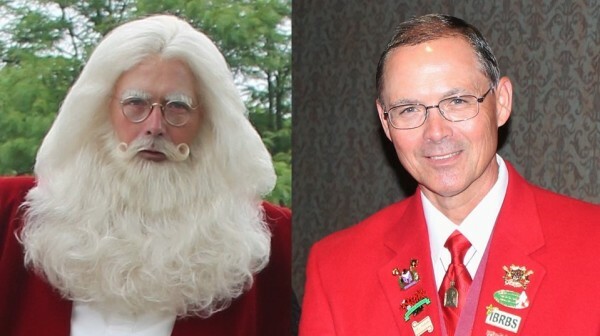 He is also Co-Founder of Atlanta’s, Northern Lights Santa Academy and also Atlanta’s, Santa Claus Academy. He is also a founding member of The Brotherhood of the Direct Descendants of Santa; a member of the Peachtree Santas, Real Bearded Santas of North Georgia, he served as National Director for Public Health Programs for Santa America. 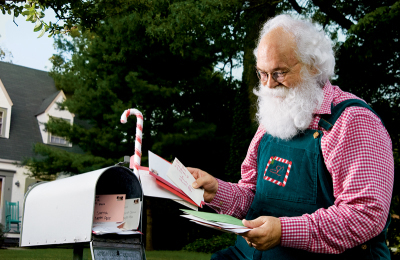 As a writer, he contributes his Santa articles to the North Pole Observer, ClausNet.com. 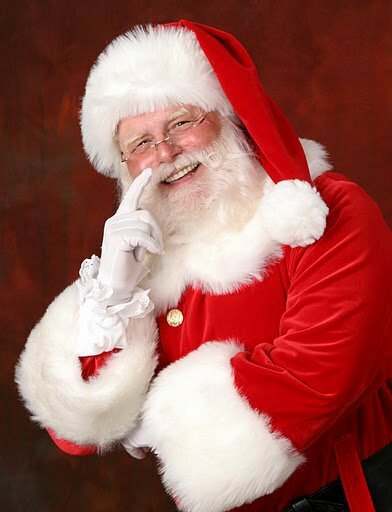 Plus, his writings have appeared in The Red Suit Diaries, Santa America’s, Santa Blog and others. In 2016, The Santa Claus Oath Foundation awarded Santa Lou the prestigious, Charles W. Howard Award. Lou's role at the Santa Family Reuion will be to plan and oversee workshops for this convention. We are very fortunate to have Lou's superb experience in this very important part of the convention. Santa John Wilder‘s first year to be Santa was in 1978 for his wife’s classes for the mentally challenged and continued on for 8 years. As the years went on, it grew with many hospital visits to sick children and visiting many churches all thru the year and he became a Santa everyday of the year. At his church, several friends call him Nick and believe that is his real name and who are we to say any different. He plans to retire from Dollywood after many years as a ride mechanic in 2017. John has 2 amazing sons and 8 grandchildren as well as shared in the lives of 54 foster boys and 4 mentally delayed foster adults. John has performed in the Passion Play In The Smokies. We are waiting for our new building where John will be the tech director staying busy behind the scenes. He enjoys what he does and being Santa comes easy for him. He is excited about the parade at Santa’s Family Reunion and getting to know his Santa Family more. He is Santa in many different venues but being able to share the true meaning of Christmas brings him the greatest joy as an ordained minister he loves to celebrate CHRISTmas everyday of the year. "We are very eager to organize the Parade again this year for the Santa Family Reunion and looking forward to seeing the whole family once again together in Gatlinburg, TN. Everyone is welcome....so put on your best Santa attire, polish up your sleigh, grab the Elf's and Mrs. Claus and lets have a fun filled Parade." Nana Joan Wilder , Ho ho ho. I met Santa John at Lee University in Cleveland TN in 1974 and in 1978 I earned my (uh hum) MRS degree and became the wife of Santa John Wilder. That was 38 years ago and WOW how God has blessed us. I’ve been the President of the Christian Arts Society and the Director of the Passion Play Of The Smokies. However, my greatest accomplishments have been my boys, starting with Jay and Justin. They are such amazing Godly young men, oh what sweet gifts from God. Then we were blessed to share in the lives of 54 foster boys from 3 different children’s homes. Fifteen years ago, Joan started Adult Foster Care for developed mentally delayed and we have had 4 of them join our family. Its no wonder God would place a desire to be Mrs. Claus....early on in the first year of our marriage. I had my handsome young red bearded “Santa husband” John come to my special needs classes to share the CHRISTmas spirit. Yep! I spelled it right. You see, we believe that CHRIST is the most important gift to the world at Christmas. CHRIST is a MUST for everyday of our lives; in our home and everything we do. What an amazing life to be able to celebrate CHRISTmas everyday of the year and be Mrs. Santa Nana Joan Claus as a bonus. John and Joan's role will be to once again plan, organize, and produce the much anticipated Santa Family Reunion Parade down the main street of the city of Gatlinburg. Thousands of tourists and locals will line the street for this grand parade event on Saturday March 16th. No one puts together a parade like John and Joan Wilder!! We are truly blessed to have them both a part of our team. Charlie Thomas is well known in the Santa Community. He is well respected for his honesty and integrity. 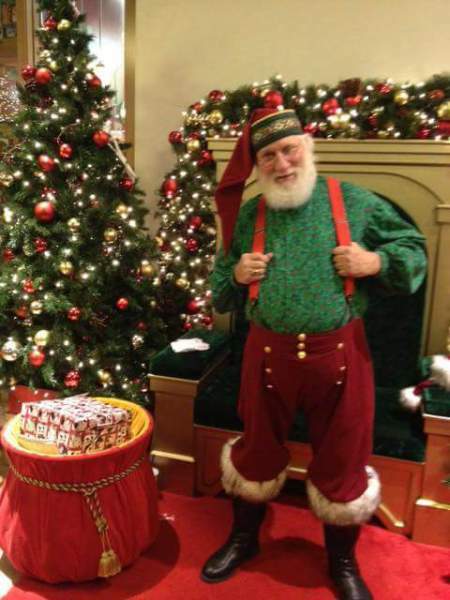 He was instrumental in retoring the credibility of the entire Santa Community by planing and producing two very successful Santa Conventions known as ClausFest 2012 and 2104 with his beloved wife Cindylu. 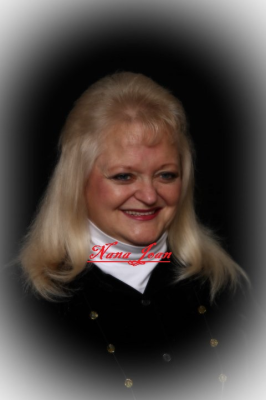 Cindylu passed to be with the Lord on Nov. 15, 2015. With the help and encouragement of friends and family, Charlie is continuing his journey as "Bama Santa" in the great state of Alabama. Charlie is truly a treasure to have on the Santa Family Reunion Team. Mike Durkin aka "Pirate Santa" is from Michigan. Mike is a Vietnam War Veteran with war scars of a lost eye as well as some of the medical issues that plague our soldiers/wounded warriors long after the war is over. Mike continues to share and teach the importance of thanking a Veteran for service to our country's freedom. Santa Mike took the Santa Oath in 2009 in Gatlinburg, TN. His first year as Santa was as a private visit Santa. Since then, he has become a Mall Santa where he did 5 years in Chula Vista, CA and will be in his second year at a mall in Champaign, IL. Mike is active in the MAPS group in MI. Mike and Jumbo recently helped form Great Lakes Santas Inc., a non profit 501(c)3 charity. He also involved in raising funds for St. Claire County Child Abuse Prevention. Jumbo Cletis Helsel is also from Michigan. I've been Santa since 1983 when I took the rains over from my Dad. "Yes, I'm a second generation Santa." In 2008, Jumbo retired and became a Mall Santa. He is very active in the Santa Community and has attended several Santa Schools. He also has attended all the Gatlinburg gatherings, Santa Claus, IN and Albion, NY. 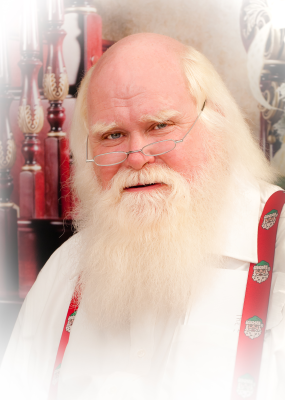 Jumbo Cletis is the President of the Great Lakes Santas Inc. which is 501(c)3 nonprofit charity. This special charity is all about helping children and their families at Christmas . He also works hard raising donations for St. Clair County Child Abuse Prevention. We are delighted to have these two good friends, Mike and Jumbo, a part of our team and know they will be a great asset to the Vendor Showcase ! Mike and Jumbo's role at the Santa Family Reunion will be to assist during set up and take down of the vendor showcase, as well as be available during the hours of operation for any questions or help needed by exhibiting vendors. Santa and Mrs Claus, aka Paul and Cathy Davis. Paul has been blessed being a Santa for 22 years. Cathy has mostly been Santa’s helper and his Mrs Claus occasionally until last season. The “bug” bit her hard last season and she is now fully committed to her role as “Mrs. Claus, Mother Elf.” When not in the chair they enjoy participating in the lives of their 2 children, 5 grandchildren, and proudly brag about all of their accomplishments. In their spare time they make time to travel. They love going to visit their best friends in Murrells Inlet SC, and cruising wherever the ships are sailing! Cathy and Paul's role at Santa Family Reunion: will be to plan and organize the "Secret Santa" Live and Silent Charity Auctions as well as "Stuff the Sleigh" for The Smoky Mountain Children's Home. We are very pleased to have them aboard this year to make things run smoothly for a successful charity fundraising outcome. After 53 years of wearing the red suit and working with amazing clients, my mission and commitment is to help everyone experience the true joy of Christmas. My journey to become a professional Santa Claus began at an early age. My Sunday school class picked me to be Santa for a mission it supported when I was only 15 years old. I had just lost my father earlier that year in a tragic auto accident, but God had a plan for my life to bring joy and happiness to others, and in the process He began to heal my broken heart. Over the years, my expertise has been honored with remarkable and notable accolades, including a 2013 Inductee into the International Santa Claus Hall of Fame with the distinction of “Keeping Christ in Christmas.” I wrote my autobiography, “Santa’s Journey-Sharing Christmas Year Round” in 2008 and republished a revised version in 2013. I have been featured as the Santa model in over seventy paintings by eight different professional artists. Cliff's role at the Santa Family Reunion will be to produce and present his well known program "Keeping Christ in Christmas". We are very pleased and thankful that Cliff will be carrying on the tradition of this heart warming program in Gatlinburg, TN. 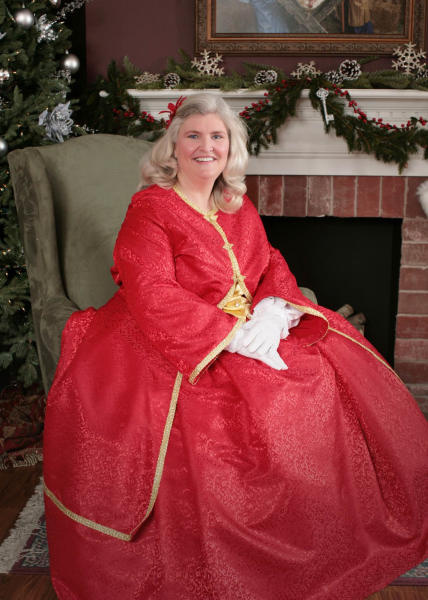 SHERRY COOK simply started out being Mrs. Claus because her married initials were SC! 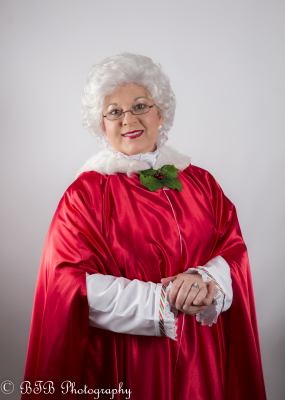 She portrays Mrs. Claus with several Santas in the Atlanta area and has learned something from each of them. She also does solo Mrs. Claus visits at libraries and elementary schools where she reads stories to children. The inspiration for her outfits came from one of her favorite movies “White Christmas”. She did an Amazon search and found a 25 year old pattern to use. Seeing other Mrs. Claus wardrobes has further inspired her creations. Sherry has been Mrs. Claus of the Month in a sisterhood group on Facebook in July of 2017 which was a great honor for her due to the caliber of the women in the group. Sherry has a beautiful Mrs. Claus designed fashion wardrobe of her own and she is very excited to be heading the SFR Fashion show with her good friend Buffi Crouch. In the real world, I am "Mom" to two college students, PJ and Grayce. I teach 3rd grade and work at Rock City Gardens in Chattanooga, TN. Theatre has been a part of my life since high school, and in recent years, I have been blessed to portray roles such as "Yente" in Fiddler on the Roof, "Mrs. Barry in Anne of Green Gables, "The Wicked Witch" in The Wizard of Oz, and "Martha Watson" in White Christmas". At Rock City's FairyTale Nights, I have portrayed Fairy Godmother and Queen Guinevere. Many weekends, I travel to Atlanta to volunteer with Cosplay Volunteers of Atlanta as Fairy Godmother. We visit hospitals, participate in charity events, and recently attended two separate venues with "Night to Shine". Five years ago, I began my North Pole journey at Rock City's Enchanted Garden of Lights. Since then, each year Clara Claus visits schools, libraries, and charity events in both Chattanooga and Atlanta. Mrs. Claus has always been a part of my heart and now she is a part of my life. I am moving to Orlando in May, and cannot wait to see what "Holiday Adventures" await. Sherry Cook's roll at Santa Family Reunion will be to plan, organize, and produce a Fashion Show at our luncheon on Sunday, March 17th. Buffi Crouch will be assisting with fashion show. We are VERY excited to see what she has planed for a fun, informative, and entertaining fashion show for our attendees at Santa Family Reunion. I was born and raised in Indiana. I have had the honor to portray Santa for over 30 years. My beliefs in what Santa represents are rooted in the words of Jim Yellig, "There's only one reason for Santa Claus to be — and that is to spread joy and happiness." This is something we should all remember. Tim is the Director of The Santa Claus Historical Society and a member of the Board of Directors at The Santa Claus Museum and Village in Santa Claus Indiana. Tim's roll at Santa Family Reunion is ti keep our visual and audio needs running smoothly. We are so grateful that Tim has offered his time and talent to head this very important aspect of the convention.